German Silver, sometimes known as Nickel Silver, is a silver-white alloy composed of 52 percent to 80 percent copper, 10 percent to 35 percent zinc and 5 percent to 35 percent nickel. It may also contain a small percent of lead and tin. Higher amounts of copper make the nickel silver metal more ductile and more resistant to corrosion while higher amounts of nickel make nickel silver look more like silver. To improve corrosion resistance, lower the melting point, raise the nickel silver's strength and hardness, higher amount of zinc is added into the formula. However with the higher amount of Zinc, ductility is a severely reduced. 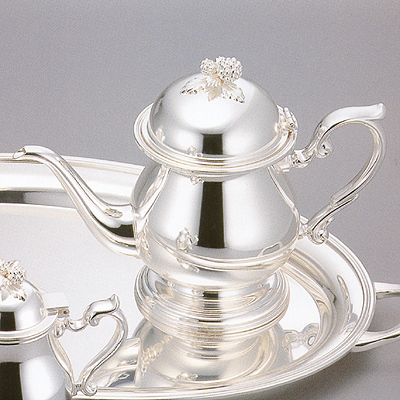 There are other forms of nickel silver, but the term German silver is the name used in today's silverware trade. Other common names for this alloy are Chinese Paktong, New Silver and Alpacca. Be aware that if you are looking for real true elemental silver to avoid these types as there is no silver content at all. The above is a brand new Nickle Silver pot set from Japan. One can notice that it is hardly able to differentiate between Nickel Silver and real Silver. 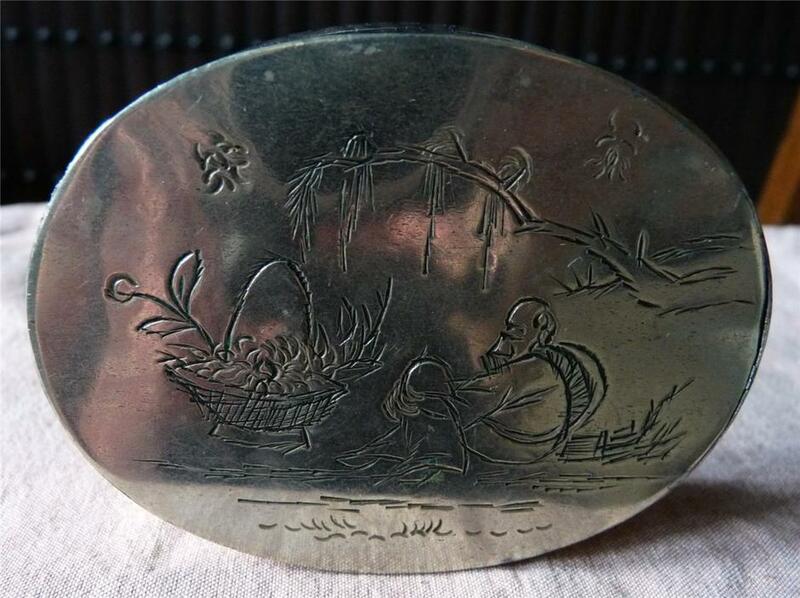 Nickel silver was first known and used in China during the Qing Dynasty. The Chinese called it paktong 白銅 or white copper. The Chinese Qing government had banned the export of nickel silver. This is due to its close resemblance to true sterling silver. However, it was documented in many publication, that there were smuggling of Paktong into various parts of the East Indies (Now called Southeast Asia). During the late 19th and early 20 century, it was also exported from Canton to the American and Europe. 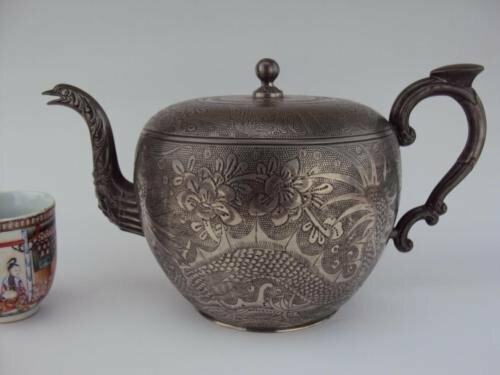 Due to its white and silvery metal color, the western collectors today had always mistakenly believed it to be true Chinese silver. In 1823, Germany managed to develop a formula for the metal and perfect the production process. It was then known to the world as "German Silver". Chinese Paktong slowly looses it name. Today the term, Chinese Paktong is only used by auction house, museum or art house. The West remain unknown of this Chinese Paktong metal name. A copper-nickel-zinc alloy that contains no silver. Has many of the same characteristics as brass and bronze. Has existed for over 2000 years. May be wrought, cast, rolled, stamped, forged, drawn, extruded and machined. Highly resistant to environmental corrosion. Suitable for soldering and welding, depending on the presence of lead. Develops a protective oxide, or patina when exposed to oxygen; the patina is brownish-green when exposed for long periods of time. Called copper-nickel or false copper in the late 1600s due to the reddish color of the ore, but lacking the ductility and malleability of copper.